Millennials are likely to retire with more ease than their parents, according to a recent study. The J.D. Power 2018 Group Retirement Satisfaction Study found that millennials are best prepared for retirement. In fact, their readiness tops that of their parents’ age group, collectively known as baby boomers. The results from this study come as great news for the often misunderstood generation that can’t remember a time when their phone wasn’t mobile and the computer didn’t serve as an alternate tool for socialization. But it has its limits. The study is based on responses from more than 9,500 who are already group retirement-plan members, a sign of financial literacy. Still, in a world where Social Security funds and pensions are uncertain, and prices are rising while wages remain largely stagnant, retirement is becoming more of a fleeting concept for some. This study presents less-than-stellar news for boomers as they quickly approach retirement. Experts recommend saving 10 years’ worth of income for retirement. Although 75 percent of boomers have $100,000 in savings, that’s probably not enough. “The average Boomer will hit age 65 with just 3.4 years of current income saved, far short of the 10 years some experts recommend,” the study said. In contrast, about 27 percent of millennials have saved more than $100,000 for retirement. They still have a good 30 to 35 years left in the workforce. That’s another three decades or so of savings to compound. Starting at age 25, saving $3,000 a year in a tax-deferred retirement account for just 10 years can result in a surprisingly large payout, as illustrated by CNN Money. By the time that early investor turn 65, he or she would have accumulated nearly $340,000 with an approximate 7 percent return. Millennials might have substantially more time than boomers to take risks in their investment ventures. But a 2016 study found that the majority of this younger age group may be interested in low-risk options. The study was a project for a financial institution carried out by students from Yale School of Management. 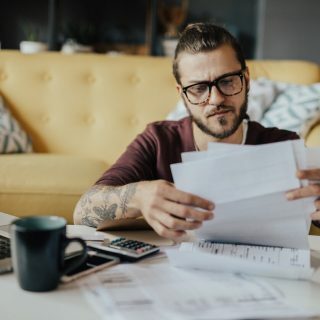 Initially, interviews of 31 millennials showed that the younger generation had little knowledge about retirement investments, particularly annuities. This age group felt disconnected from activities that did not offer an instant return or gratification. But after access to a larger participant pool of both young and old, and with a bit of explanation for the study’s more youthful counterparts, millennials seemed to change their tune about the low-risk, guaranteed-return investments. This was especially true for those given a reference point who believed they may currently be contributing less than others. Interestingly, millennials were most likely to be influenced by their peers’ choice of annuity funds. Even without knowing anything about the fund, if millennials were aware of others’ choices prior to making their own decision, they would mostly resolve to follow suit. Current salary was also found to impact millennials’ overall stance on retirement savings as well as options undertaken by retired loved ones.